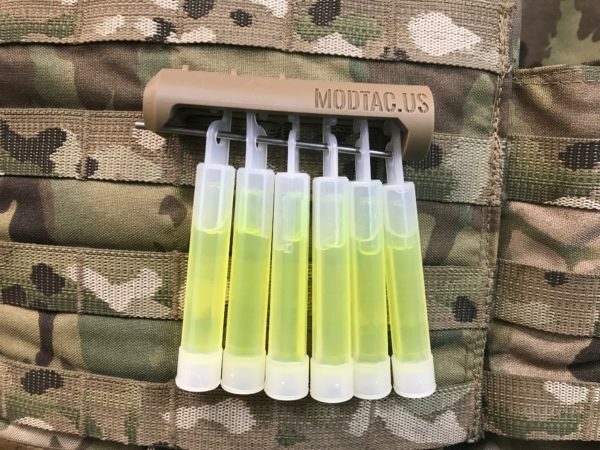 THE CHEMLIGHT CACHE PROVIDES IMMEDIATE TACTILE COLOR IDENTIFICATION, EASY RETRIEVAL, AND QUICK EMPLOYMENT OF MISSION ESSENTIAL CHEMLIGHTS. 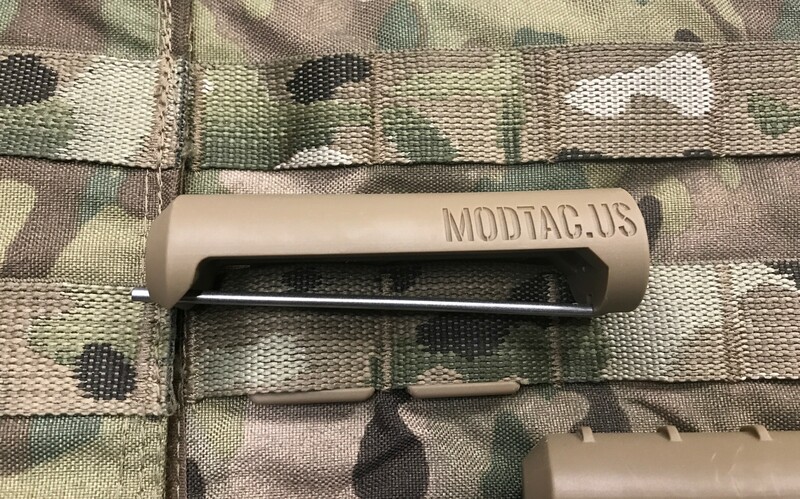 KEY DESIGN FEATURES ENABLE THE CHEMLIGHT CACHE TO BE PLACED IN ANY MOLLE LOCATION INCREASING EASE OF USE AND RELIABILITY. 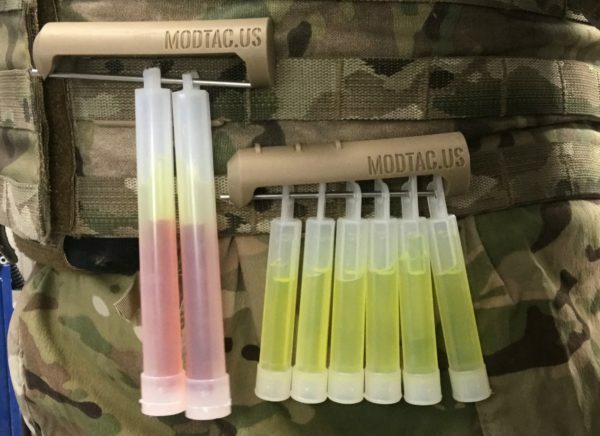 Warfighters carry a variety of chemlight colors on every mission. 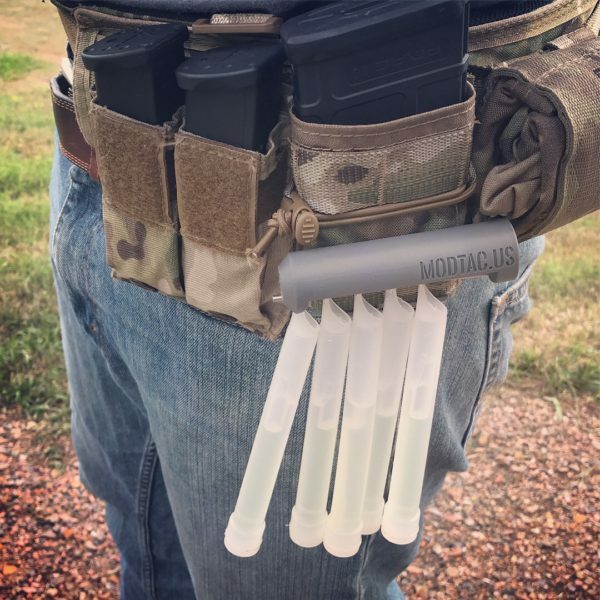 Those chemlights are often tucked behind pouches, in between gear, and anywhere they can’t be easily grabbed. Additionally, most carry more than one color, making it nearly impossible to determine which color is in hand. Currently, chemlights are zip-tied or tied on a 550 cord loop to the warfighter’s kit. The problem with these methods is that a significant amount of force is required to break the plastic of the chemlight in order to use it. This limits the possible locations where chemlights can be carried. The “loop” method also allows chemlights to slide in behind pouches or equipment making them difficult to locate. 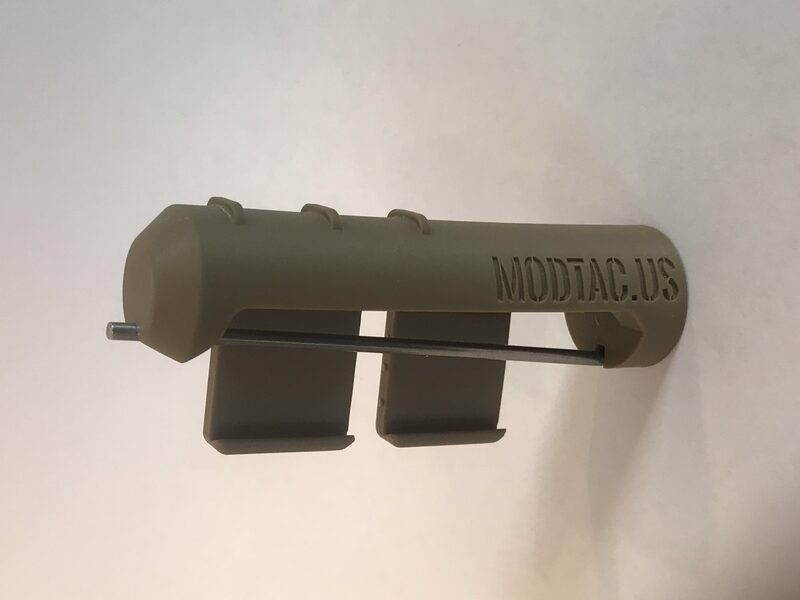 The MODTAC Chemlight Cache provides immediate tactile feedback to the warfighter, identifying the color chemlight about to be used. The easily identifiable and organized approach enables users to carry chemlights of different colors in close proximity. The MODTAC Chemlight Cache utilizes an innovative design that allows the user to detach a chemlight using minimal force while securely retaining the remaining chemlights. 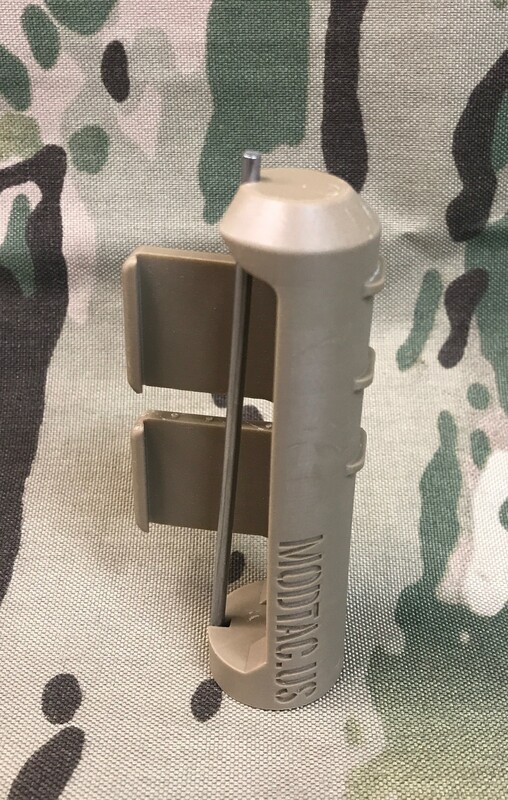 The reduction of force required enables warfighters to carry chemlights in locations that are not suitable with the “loop” technique. 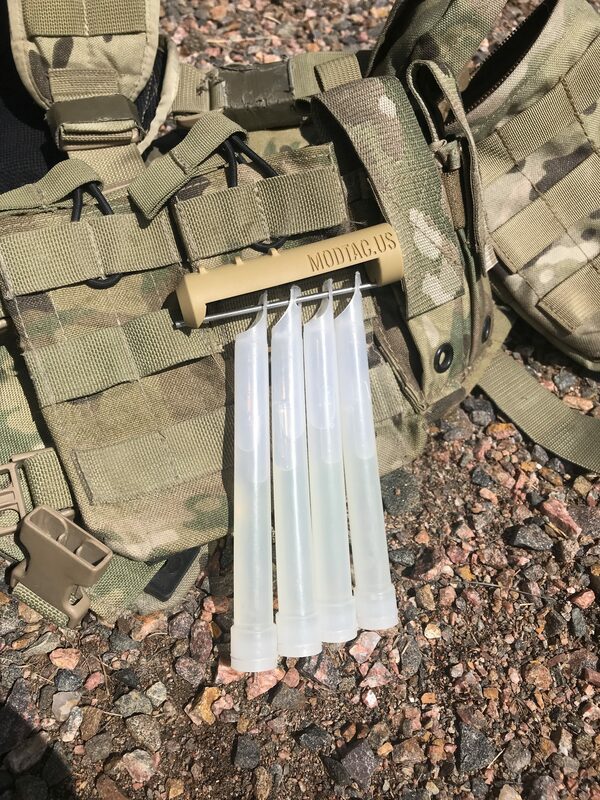 The Chemlight Cache can be used anywhere with molle straps, from soft pouches to radio or magazine pouches. 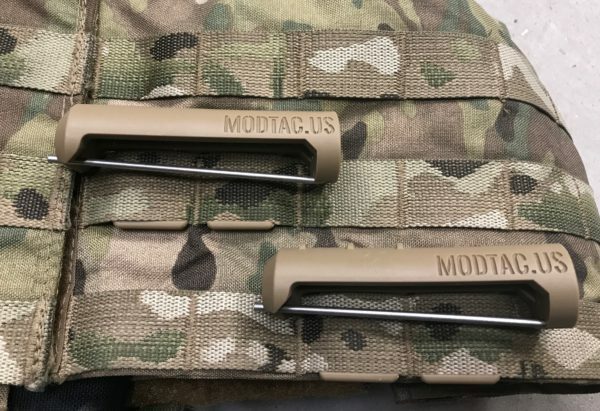 THE COMBINATION OF EASY IDENTIFICATION, CLOSE PROXIMITY CARRY, AND REDUCED FORCE ENABLES WARFIGHTERS TO EFFICIENTLY CARRY AND EMPLOY MULTIPLE CHEMLIGHT COLORS. 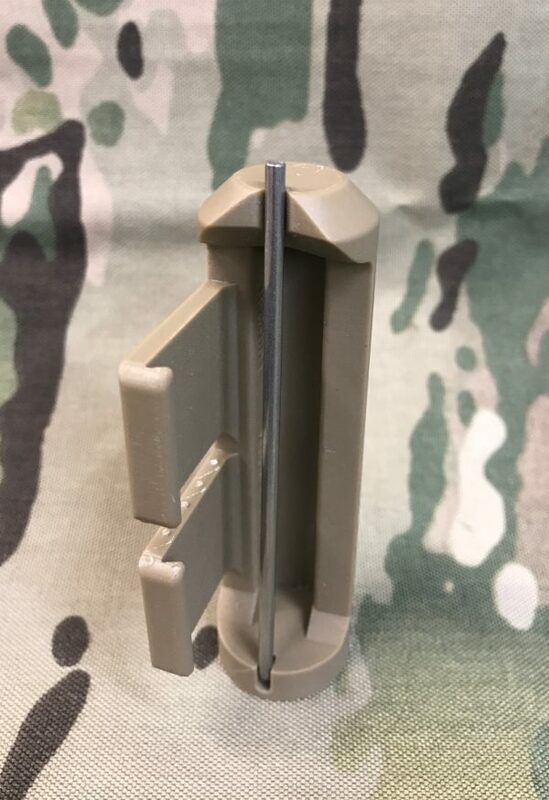 *The Chemlight Cache is sold in pairs (Left or Right) with 1 x smooth top and 1 x tactile top.